The series “MAIN STRƎƎT”, on view at The Gallery at Leica Store San Francisco, is the result of 11 years of travels along Route 66 — the 2,400 mile stretch between Chicago and Santa Monica. Called the “Mother Road” in John Steinbeck’s The Grapes of Wrath, Route 66 has inspired countless artists and writers, including Andy Warhol and Jack Kerouac. Following the path of migrant farmers and others, photographer Edward Keating has ventured westward and back along Route 66, documenting the lives of Americans along the way. 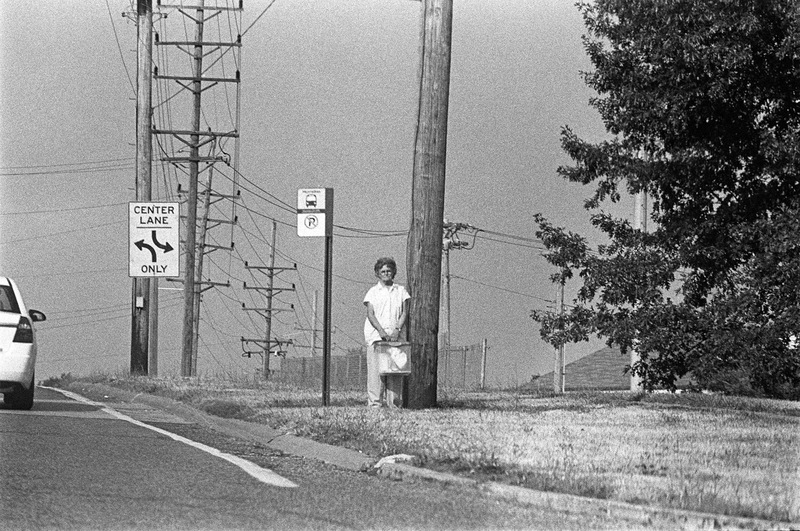 The book, published by Damiani, is also personal mythology, constructed from the artist’s own recollections of the road: Keating’s mother grew up in Saint Louis along Route 66 where her father owned the city’s first Ford dealership. In his early 20s, he embarked on a cross-country trip on Route 66, but found himself, rock-bottom, in a broken-down motel in Flagstaff, Arizona. In 2000, he returned to Route 66 as a New York Times staff photographer, traversing all 2,400 miles in three weeks. The series is a milestone for an artist who has spent a life wandering along the main streets and back roads of America’s most mythic highway.